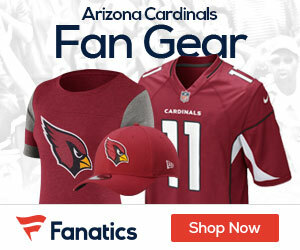 Kolb Not a Fit for the Cardinals Offense? 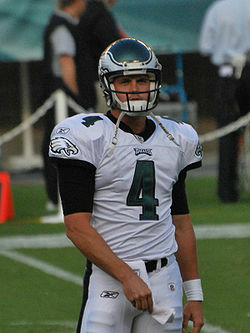 Most experts are predicting Eagles backup quarterback Kevin Kolb will head to Arizona via trade once the lockout is over but according to AZRedReport.com, Cardinals coaches might be concerned about Kolb. They note that Kolb has thrown more interceptions(14) than touchdown passes(11) in his brief career. They wonder about his decision-making. But mostly the Cardinals’ brass wonders if Kolb is the right fit for coach Ken Whisenhunt’s offense. Kolb averaged only 6.46 per pass attempt in his five starts in 2010. Until last season, when the Cardinals were forced to play quarterback roulette and started a pair of rookies at various times, the Arizona passing game averaged over 7.0 yards per attempt under Whisenhunt. The number dropped precipitously to a paltry 5.81 yards in 2010, but, again, there were mitigating circumstances. The Arizona passing game is designed to be more vertical than the Eagles and expects the quarterbacks to drive the ball into intermediate and deep windows with accuracy.